Before coming to Tokyo, I came across a Tokyo Eats post about Sadaharu Aoki’s “Tokyo Macaron Yaki”. 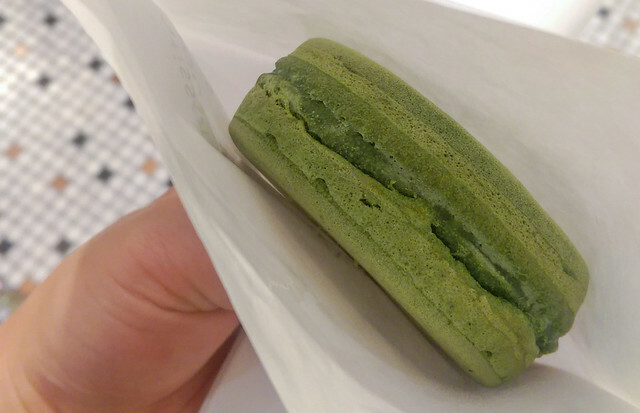 It’s a matcha flavored imagawayaki (round, thick cake typically filled with red bean paste) with a chocolate macaron inside! 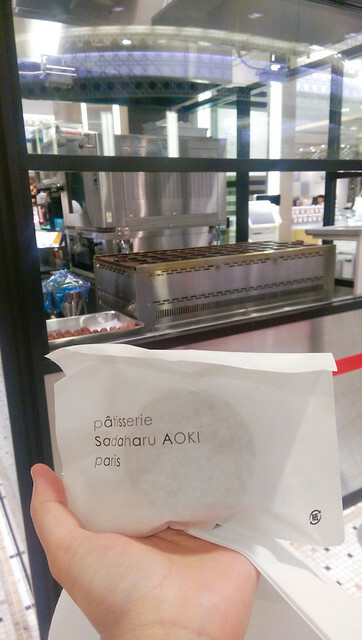 Aoki is a Japanese-born patissier based in France, with patisseries in Paris, Tokyo, Nagoya, Fukuoka, and Taipei. They carry a variety of macarons and desserts. The macaron yaki was hot, so perhaps they had made it a bit earlier. 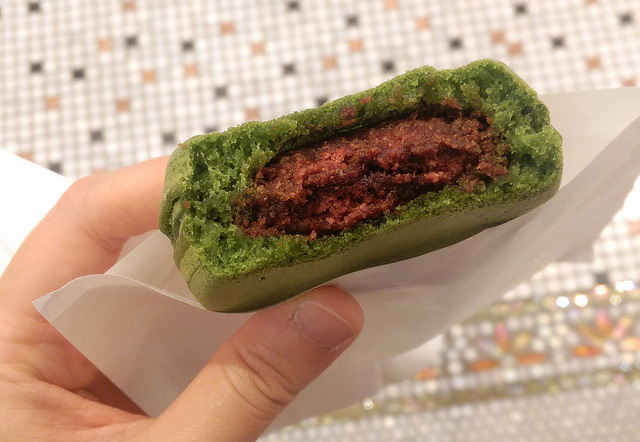 I ate it while it was hot, so the macaron was soft, moist, and cakey with the imagawayaki. It was like eating matcha imagawayaki with a chocolate cake inside. Imagawayaki is best eaten hot and freshly made, while macarons are best eaten at room temperature. I would think the macaron would be a bit crunchier if the macaron yaki was eaten at room temperature, or maybe not?